RetailFrom the award-­winning author of Half of a Yellow Sun, a dazzling new novel: a story of love and race centered around a young man and woman from Nigeria who face difficult choices and challenges in the countries they come to call home. As teenagers in a Lagos secondary school, Ifemelu and Obinze fall in love. Their Nigeria is under military dictatorship, and people are leaving the country if they can. Ifemelu—beautiful, self-­assured—departs for America to study. 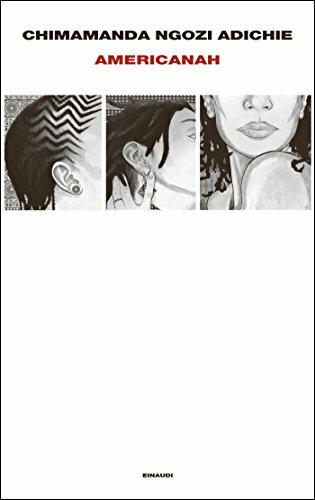 She suffers defeats and triumphs, finds and loses relationships and friendships, all the while feeling the weight of something she never thought of back home: race. Obinze—the quiet, thoughtful son of a professor—had hoped to join her, but post-­9/11 America will not let him in, and he plunges into a dangerous, undocumented life in London. 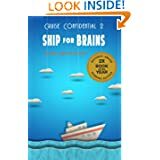 Years later, Obinze is a wealthy man in a newly democratic Nigeria, while Ifemelu has achieved success as a writer of an eye-­opening blog about race in America. But when Ifemelu . . .
Chimamanda Ngozi Adichie burst onto the literary scene with her remarkable debut novel, which critics hailed as “one of the best novels to come out of Africa in years” (Baltimore ), with “prose as lush as the Nigerian landscape that it powerfully evokes” ( ); called her “the twenty-­first-­century daughter of Chinua Achebe.­” Her award-­winning became an instant classic upon its publication three years later, once again putting her tremendous gifts—graceful storytelling, knowing compassion, and fierce insight into her characters’ hearts—on display. Now, in her most intimate and seamlessly crafted work to date, Adichie turns her penetrating eye on not only Nigeria but America, in twelve dazzling stories that explore the ties that bind men and women, parents and children, Africa and the United States. In “A Private Experience,­” a medical student hides from a violent riot with a poor Muslim woman whose dignity and faith force her to confront the realities and fears she’s been pushing . . .
Fifteen-­year-­old Kambili and her older brother Jaja lead a privileged life in Enugu, Nigeria. They live in a beautiful house, with a caring family, and attend an exclusive missionary school. They're completely shielded from the troubles of the world. Yet, as Kambili reveals in her tender-­voiced account, things are less perfect than they appear. Although her Papa is generous and well respected, he is fanatically religious and tyrannical at home—a home that is silent and suffocating. As the country begins to fall apart under a military coup, Kambili and Jaja are sent to their aunt, a university professor outside the city, where they discover a life beyond the confines of their father’s authority. Books cram the shelves, curry and nutmeg permeate the air, and their cousins’ laughter rings throughout the house. When they return home, tensions within the family escalate, and Kambili must find the strength to keep her loved ones together. is an exquisite novel about the emotional . . .
Fifteen-­year-­old Kambili and her older brother Jaja lead a privileged life in Enugu, Nigeria. They live in a beautiful house, with a caring family, and attend an exclusive missionary school. They're completely shielded from the troubles of the world. Yet, as Kambili reveals in her tender-­voiced account, things are less perfect than they appear. Although her Papa is generous and well respected, he is fanatically religious and tyrannical at home—a home that is silent and suffocating. 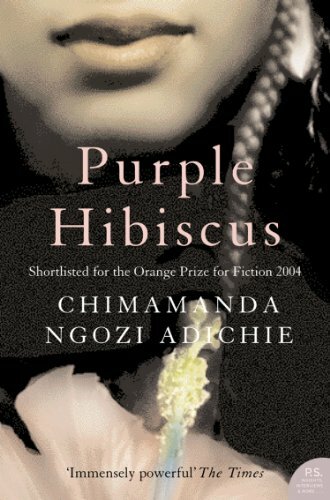 Purple Hibiscus is an exquisite novel about the . . .
Konstantinos Tzikas . . . The limits of fifteen-­year-­old Kambili’s world are defined by the high walls of her family estate and the dictates of her fanatically religious father. Her life is regulated by schedules: prayer, sleep, study, prayer.­When Nigeria is shaken by a military coup, Kambili’s father, involved mysteriously in the political crisis, sends her to live with her aunt. In this house, noisy and full of laughter, she discovers life and love – and a terrible, bruising secret deep within her family.­This extraordinary debut novel from Chimamanda Ngozi Adichie, author of ‘Half of a Yellow Sun’, is about the blurred lines between the old gods and the new, childhood and adulthood, love and hatred – the grey spaces in which truths are revealed and real life is lived. La distanza tra la Nigeria e gli Stati Uniti è enorme, e non solo in termini di chilometri. Partire alla volta di un mondo nuovo abbandonando la propria vita è difficile, anche se quel mondo ha i tratti di un paradiso, ma per Ifemelu è necessario. Il suo paese è asfittico, l'università in sciopero. E poi, in fondo, sa che ad accoglierla troverà zia Uju e che Obinze, il suo ragazzo dai tempi del liceo, presto la raggiungerà. Arrivata in America, Ifemelu deve imparare un'altra volta a parlare e comportarsi. Diverso è l'accento, ma anche il significato delle parole. Ciò che era normale viene guardato con sospetto. Ciò che era un lusso viene dato per scontato. La nuova realtà, inclemente e fatta di conti da pagare, impone scelte estreme. La frattura con il passato, compresi gli affetti piú cari, è inevitabile. A complicare tutto c'è la questione della razza. Ifemelu non aveva mai saputo di essere nera: lo scopre negli Stati Uniti, dove la società sembra stratificata in base al colore . . .